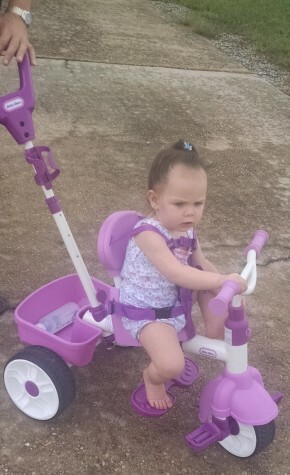 Home » Little Tikes 4 in 1 Trike Bike Review! 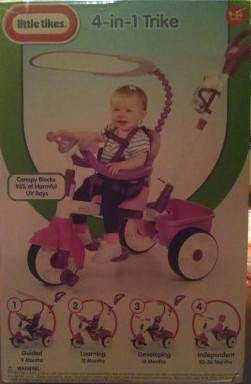 The Bike that Grows with your Child! Little Tikes 4 in 1 Trike Bike Review! The Bike that Grows with your Child! 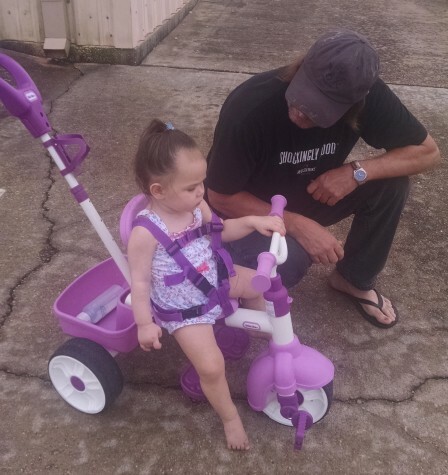 My husband and I decided that since our granddaughter loves outdoors and is getting more active, maybe it was time to get her something she could ride on. 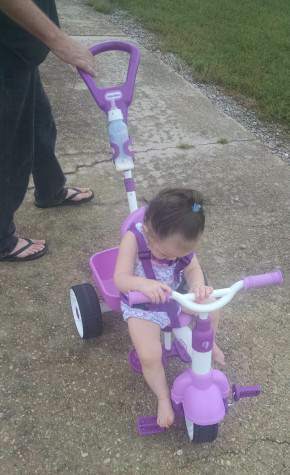 I contacted Little Tikes and they provided me with a 4 in 1 Trike Bike to review! 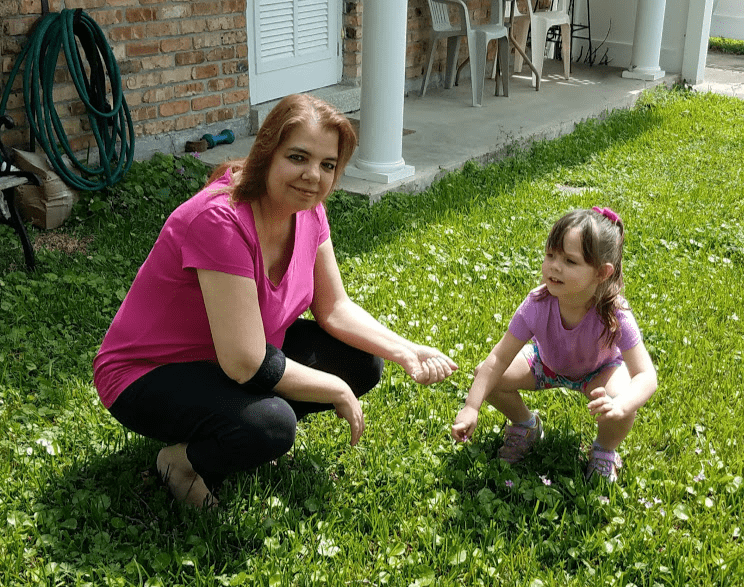 Gracen’s loving outdoors even more now! The Little Tikes 4 in 1 Trike Bike is intended for children Ages 9 months – 3 years and has 4 Stages to grow with your child. The seat adjusts to fit almost any size child. There is also a 5-point seat belt harness and protective safety bar. 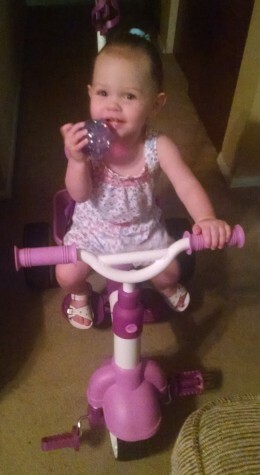 The trike bike also has an adjustable shade for our little angel and a push handle so we can steer with one hand. There is also a drink/bottle holder and basket on the back, perfect for putting your cell phone, toys, snack, etc. The steering can be be locked in the front for full parental control or released so the little ones can steer as well. Here we are trying it out for the first time. Gracen loved her walk with Grampa. She got to see planes take off up close and I think that’s going to be a grampa and granddaughter favorite thing to do as long as she enjoys it. 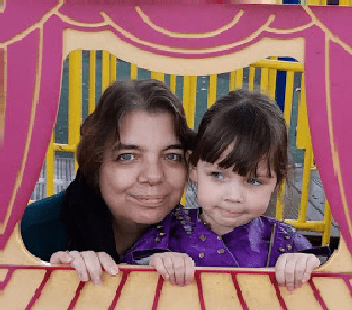 My husband will continue to adjust it as she becomes more bigger and more confident in her riding skills, and eventually make it a stand alone trike in Stage 4. The Little Tikes 4-in-1 Trike retails online for $99.99. For additional Bike related products visit the Little Tikes visit Trikes and Tricycles. page. Do you have favorite Little Tikes product? Check out Little Tikes social media pages for product updates and information Facebook and Twitter.